Photo Archive: “All Angles Covered”, Canterbury Bus Station, St. George’s Lane, Canterbury, c.2007. Photo Archive: Pope Joan, St. James’s Church, Piccadilly, London, 2013. …also featuring the reflection of the photographer and a double decker bus. 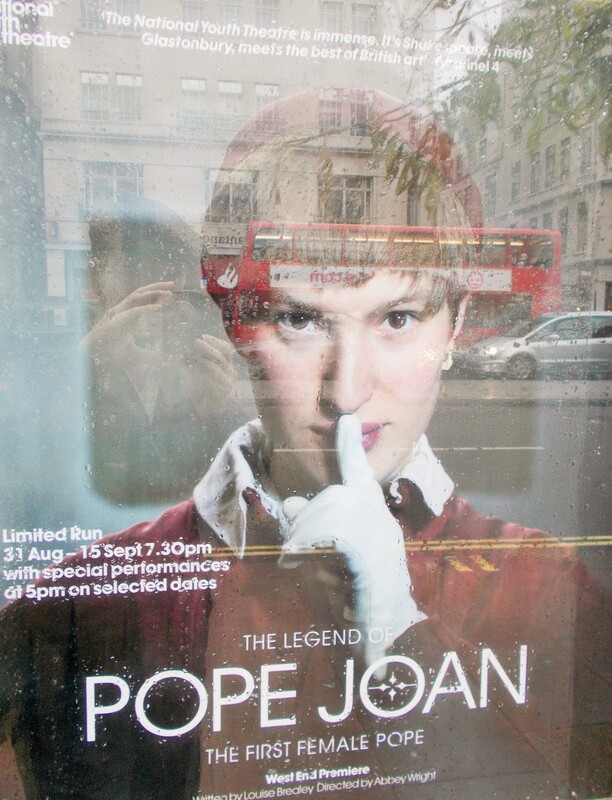 “An atmospheric church in the heart of London, St James’, Piccadilly is the perfect setting for this play which tells the story of the legend that is Pope Joan – the first and only female to achieve Papal status. Controversial, moving and enthralling, audiences can witness an unfolding of unbelievable and prescient events that have profound parallels today. Unmissable“. According to the National Youth Theatre’s website [I didn’t go and see it myself, but purely for financial and logistical reasons]. 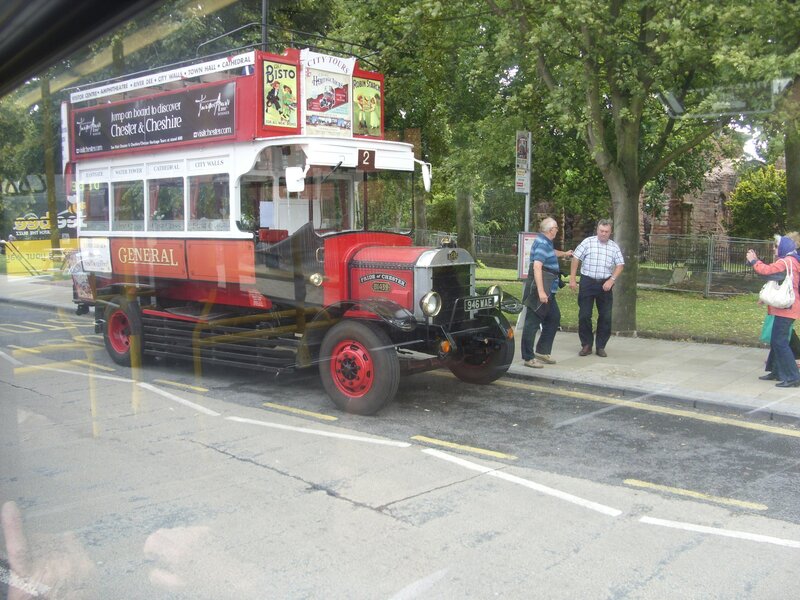 Photo Archive: A Vintage Bus Viewed from a Not-So-Vintage Bus, Chester, c.2011. 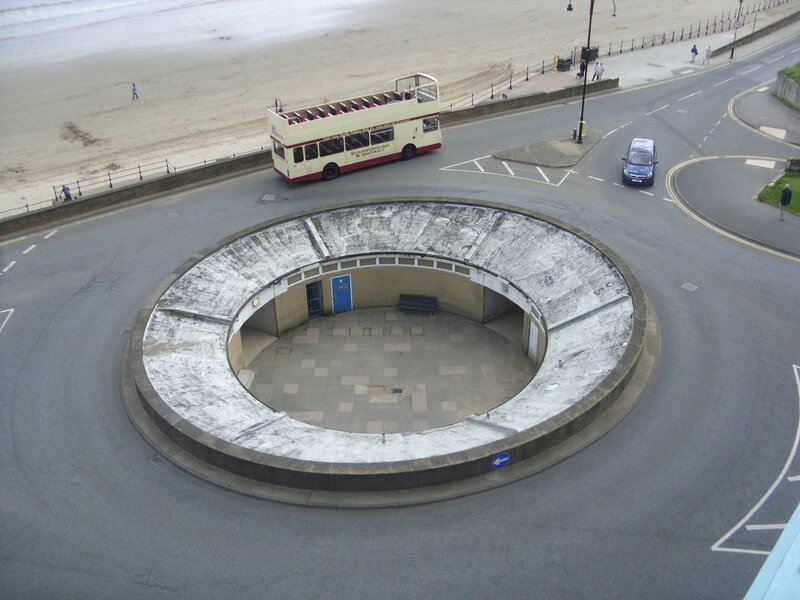 Photo Archive: Roundabout, Scarborough, 2011. Beach, bus, circle, Coast, double decker bus, open top bus, Public Transport, roundabout, Scarborough., Seaside. Posted by Mr. B Flaneur | Filed under Photo Archive., Yorkshire. Red Light, Brook Street, Hull, 09/12/14. 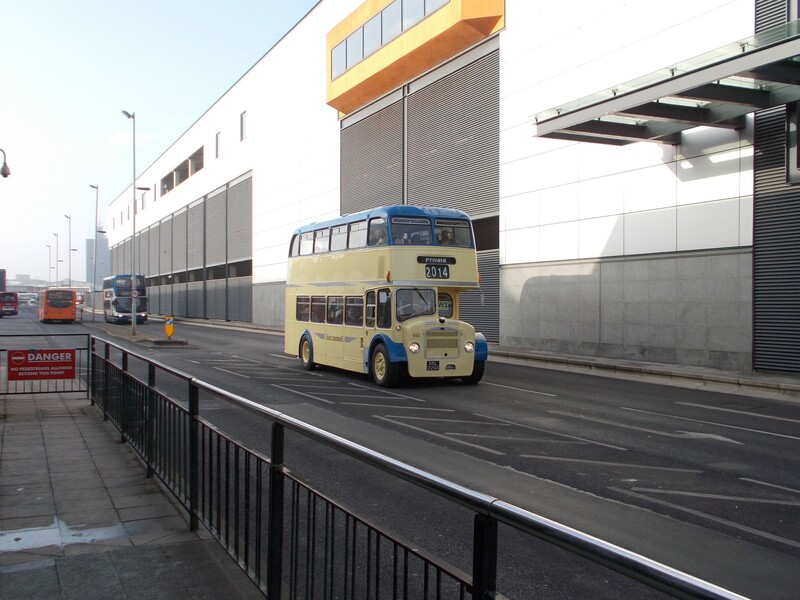 It is one of the quirks of Hull city centres one way system that buses leaving the Paragon Interchange sometimes end up going around the block and facing the Interchange again at the Brook Street traffic lights, where the bus has stopped here. 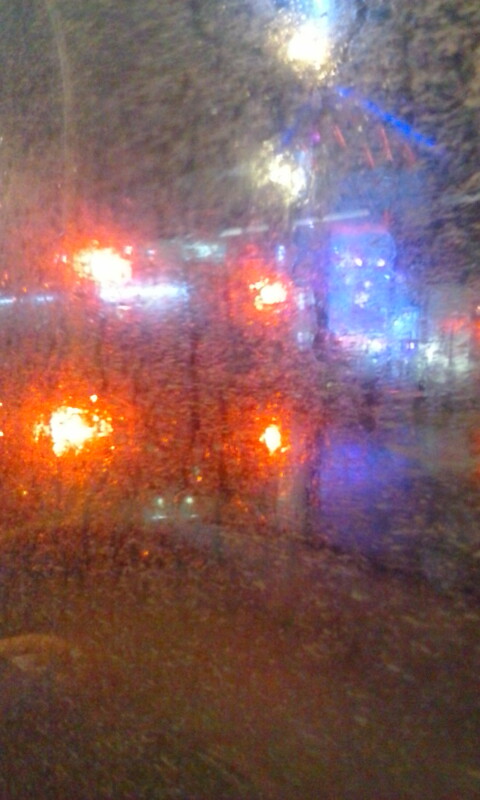 We’re heading left, whilst the other bus (outlined by its red break lights) is heading into the Interchange. The block of blue light you can see on the right of the photograph is the Christmas lights of the St. Stephen’s Shopping Centre, which is next door to the Paragon Intercgange on Ferensway. 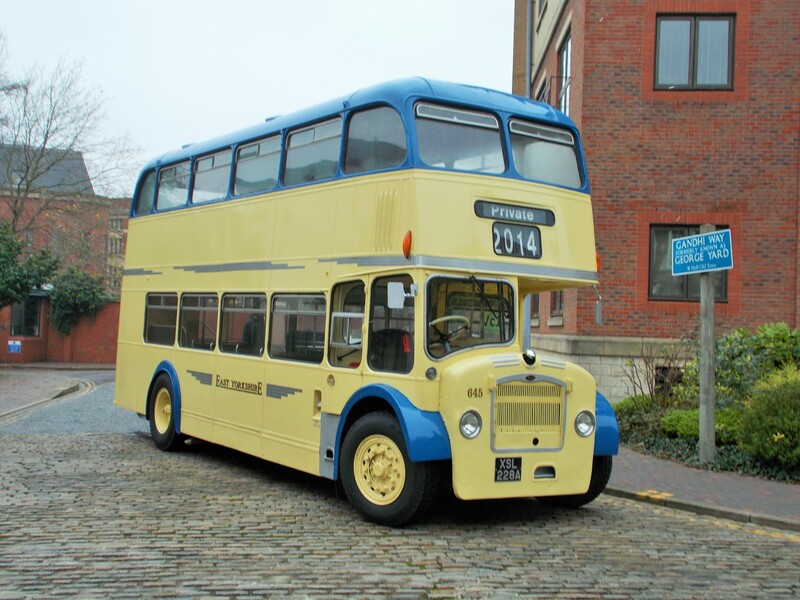 Vintage Bus, Gandhi Way, The Museum Quarter, Hull, 29/11/14. Outside the Streetlife Museum of Transport. 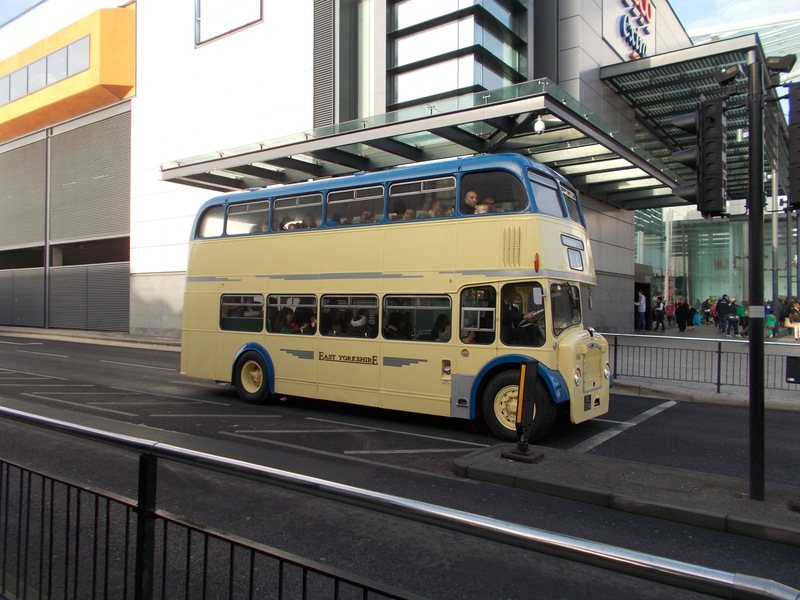 This delightful vintage bus was ferrying visitors from Hull’s Paragon Interchange to the Streetlife Museum of Transport on Saturday. I didn’t take advantage of the lift to the Victorian Christmas event, taking place in the Museum Quarter, because (as regular readers will know) I like to stroll around Hull when ever possible. Later in the day I spotted the bus again leaving the Paragon Interchange, the combined centre of operations for the city’s bus and rail services. The pedestrian crossing linking the Paragon Interchange to the St. Stephen’s Shopping Centre is a regular trap for departing buses and I just happened to be at the pedestrian crossing when the bus was leaving (a perfect instance of being in the right place at the right time). 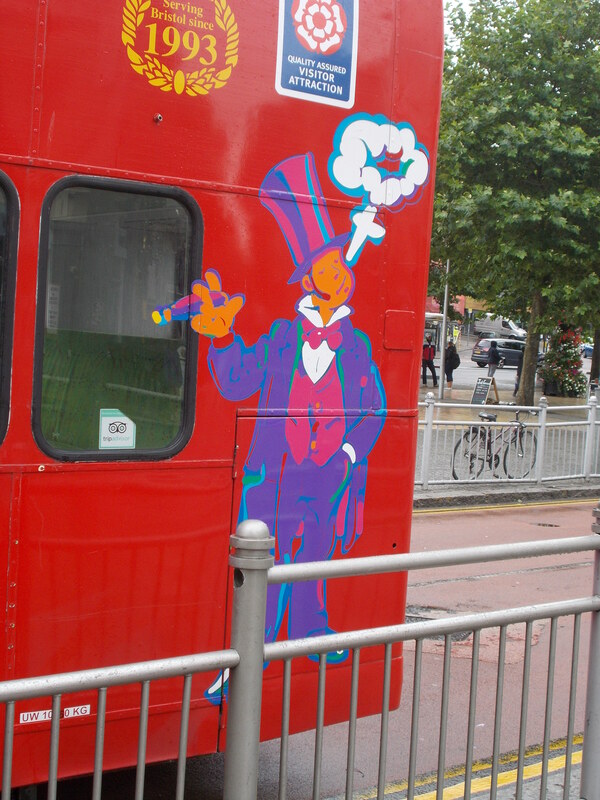 Isambard Kingdom Brunel Smoking a Cigar, Bristol, 21/08/14. Posted by Mr. B Flaneur in Out and About., Ship Shape and Bristol Fashion. 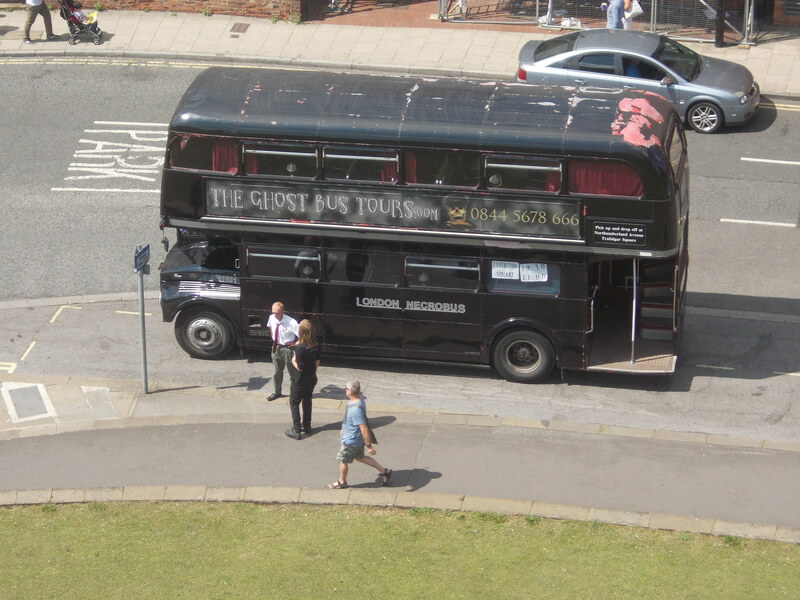 The Ghost Bus, York, 24/07/14. The Ghost Bus parked up on Exhibition Square. Although it’s not my cup of tea, you can’t help but notice all the “Ghost Tours” around York, but I can’t say I’ve ever noticed “The Ghost Bus Tour”. 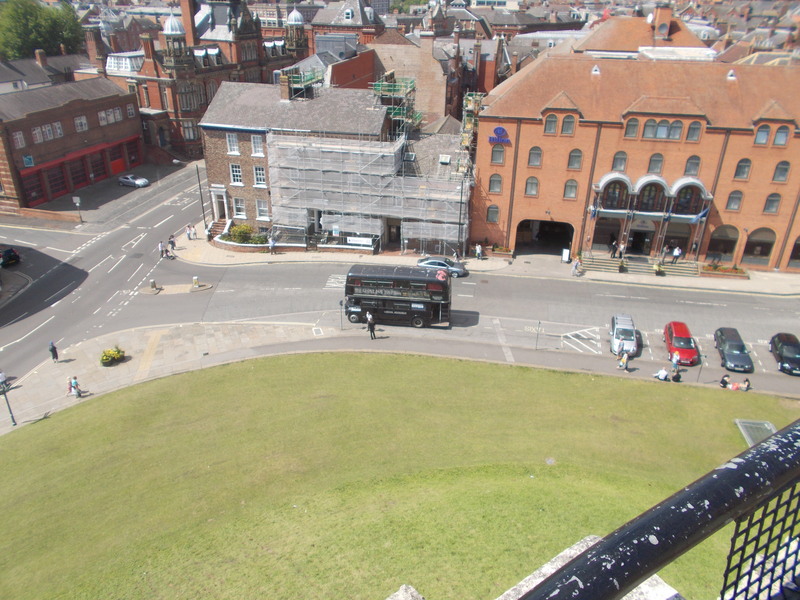 I first noticed it on Tower Street and it was still parked there when I reached the top of Clifford’s Tower, so I took the opportunity to photograph it from above as well. 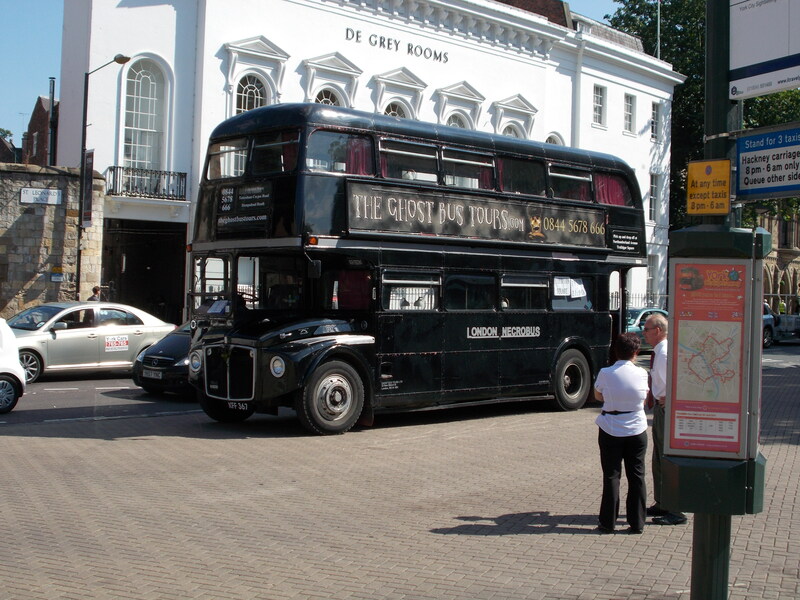 I wonder if spotting this black iconic 1960’s Routemaster will become a regular feature of my visits to York? You can read more about The Ghost Bus Tour here.